What we call the backcountry is the area of water that runs along the Florida Keys island chain. 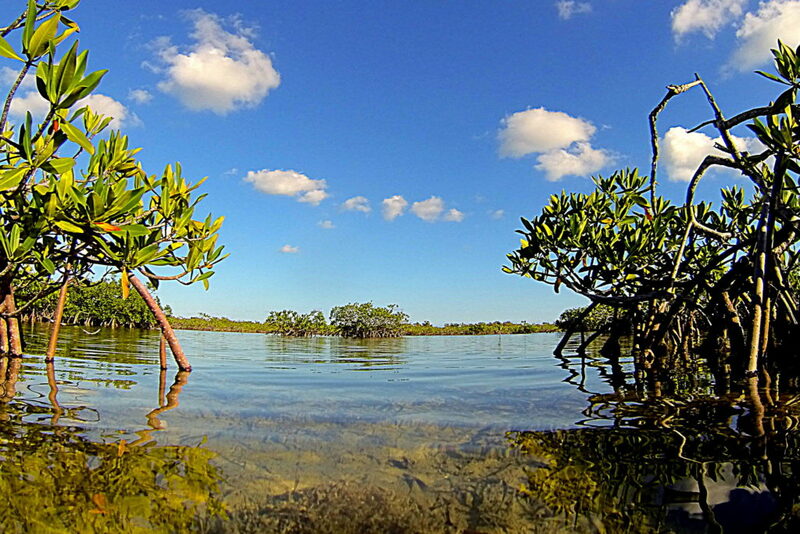 A group of mangrove islands or an oceanside flat are both considered in the “backcountry”. These flats and islands keep the water calm and clear which make a backcountry experience quite enjoyable. This is one of the most popular fishing charters out of Key West and you just never know what you are going to run into. These types of fishing trips are great for everyone wanting to get out there on the water and catch some fish. Come see what is so special about the inshore fishing in the Lower Keys and Key West. The best part of a backcountry or flats fishing charter is that it’s hands on fishing. No more trolling around and having someone hand you a rod with a fish on it. No more waiting for a rod to go off or dropping a huge weight 50 feet down to the bottom. We encourage anglers to cast and join in the experience with the guide. There is a big variety of fish in the backcountry and you could easily catch over 15 different species of fish in a single charter! Some times of year are, of course, more productive for different types of species. Let’s take a look at what you may catch in the backcountry as the year goes on. Wintertime Backcountry Fishing – has got to be the best time of year to go out and bend the rod. Cooler weather pushes a huge variety of fish species into our channels and basins. Jacks, trout, snapper, ladyfish, barracuda, pompano, bluefish, mackerel are just a few of the many fish you may find on a wintertime backcountry fishing charter. Fishing for these wintertime species is very user-friendly and a lot of fun for everyone! Spring Backcountry Fishing – is a very productive time of year. 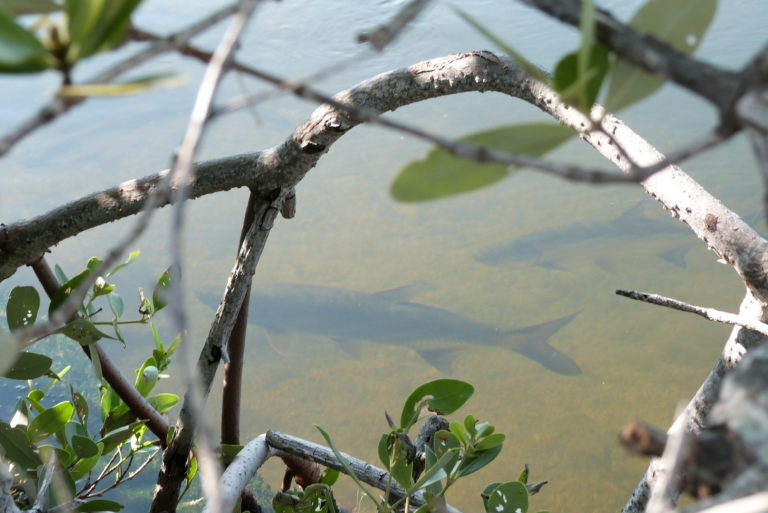 The beginnings of warmer weather kick off tarpon season and it’s on like donkey kong. Starting off your day hooking into a 60lb tarpon right out of the gate is always a blast! We still have good numbers of wintertime species hanging out in the basins and channels and if you are all about catching monster sharks, this is the time of year. Massive bull sharks fill up certain areas and it truly is an impressive sight to see. Please try and book in advance for tarpon season, spring dates do fill up fast. Summertime Backcountry Fishing – is a lot of fun! The winds lay down and the water warms up. Tarpon fishing in the early mornings and late afternoons can be epic for both juveniles and full grown fish. Different species of snapper still hang out around the mangroves and in channels and shark fishing is also very consistent. Flats fishing also nears its peak with permit coming back inshore from spawning and bonefish crawling all over the shallows. Fall Backcountry Fishing – is my favorite time to play around in the shallows. The winds are light and we get some of those remarkably flat calm days we all dream about. Sight fishing for the “big three” is at its peak with juvenile tarpon, permit, and bonefish officially all over the backcountry. This is also a great time of year to run to the Marquesas due to generally lighter winds and beautiful days. The shallow flats and mangrove islands are just a short ride from the dock. A typical backcountry fishing trip off of Key West will generally consist of some hands-on action for whatever is biting at the time (tarpon, jacks, snapper, sharks, barracuda, etc). This type of fishing trip is great for those that just want to have some fun and catch whatever is biting or get their feet wet and see what fishing in the Florida Keys is all about. Just let us know what you are interested in trying to catch and we will talk to you about what is happening out there on the water. Take a peak at our fish species page for a preview at what is swimming around out there.